I was going to publish this in VOX, but some issues with our policy came up, so I'm going to show it here! If the last day of school (or summer vacation) can’t come fast enough for you, let these fashion videos be your escape into a whimsical world. These prove that fashion is much more than what you wear, but a fantastical and breathtaking, stylish way of life. 10. Diesel Fuel for Life #1- You might have to watch them over and over again to understand, but these three clips subtly make you wonder if you are living and having some fun in your life. 9. Hello Kitty Meets M.A.C. - When this adorable fashion muse dances with the dark side, you’ll wonder: is she really naughty or nice? 8. Levi’s Onion Peel – If you never get to be a model, this commercial is a one-and-a-half minute peek at what life might be like if you were. 7. Prada Trembled Blossoms – An animated adventure, this colorful video is like taking a fresh twist on Alice in Wonderland. 6. Louis Vuitton Core Values- Where will life take you? This award-winning ad by the famed director Bruno Aveillan gets you wondering about what’s next in your life; you can travel the world and still not know who you are. 5. Levi’s Odyssey- How far will you go for your jeans? Watch the pair in this Levi’s commercial literally run to the ends of the earth because you just can’t have enough denim. 4. Chanel No. 5 the Film– Sometimes a starlet needs to escape Hollywood, so she does it leaving behind the timeless scent of Chanel. 3. Levi’s Moonbathing- This video shows what it’s like to be mystified by the moon’s allure. Insomniac or nocturnal, some of us find peace only at night. 2. Miss Dior Cherie- The playful song “Moi Je Joue” by Brigitte Bardot and the girl-next-door sweetness of model Maryna Linchuk expressed in this video give you an idea of what life would be like if you were the princess of Paris. 1. Lanvin Oxygene- You’ll need oxygen after watching this breathtaking video, another Bruno Aveillan masterpiece starring Gisele Bundchen. From bustling city streets to the peaceful quiet of the arctic, this video gives a new spin on a breath of fresh air. After watching these, I gained an overnight obsession for these kind of commercials and I'm entranced by the work of Bruno Aveillan. Love your choices. Fab idea for a post. The Lanvin one is really fantastic filming and I totally adore the Dior advert and have been entranced by it for quite a while. This is a really original post idea and all of the choices were brilliant! 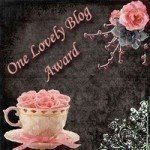 I just came across your blog and I must say I love it! I'm also 15 and I think it's really great when you come across the blog of another person your age with such similar interests! Memoirs of the geisha is the best book ever! i absolutely adore the miss dior cherie video! Aah yes the balloons I've got that pic on my wall LOL, as I love the colours...so dreamy too. i guess im obsessed with dior commercial and gucci flora with abbey. a very good and cool listing! I love your select !!! For me, the Lanvin with Gisele is the most powerful perfume ad ever ! I also loooove the Levi's Odyssey and the Louis Vuitton Core Value, but for me, Louis Vuitton it's more than a simple ad, it's a real movie, full of poetry... Bruno Aveillan is a genius !